We all want to be healthy — lose a little weight, get some exercise, stop smoking, eat better. The problem is how, particularly when our employer is urging us to do so and suggesting we do it under his watch. Workplace schemes for “wellness” have become ubiquitous, with big corporations like Kaiser leading the way. These schemes often promise rewards, but just as often they come with penalties. Do these wellness programs work? Are they a way to get healthy? Or as Faith Simon, FNP, suggests, are they really just another form of “cost-shifting in the context of a collapsing safety net”? 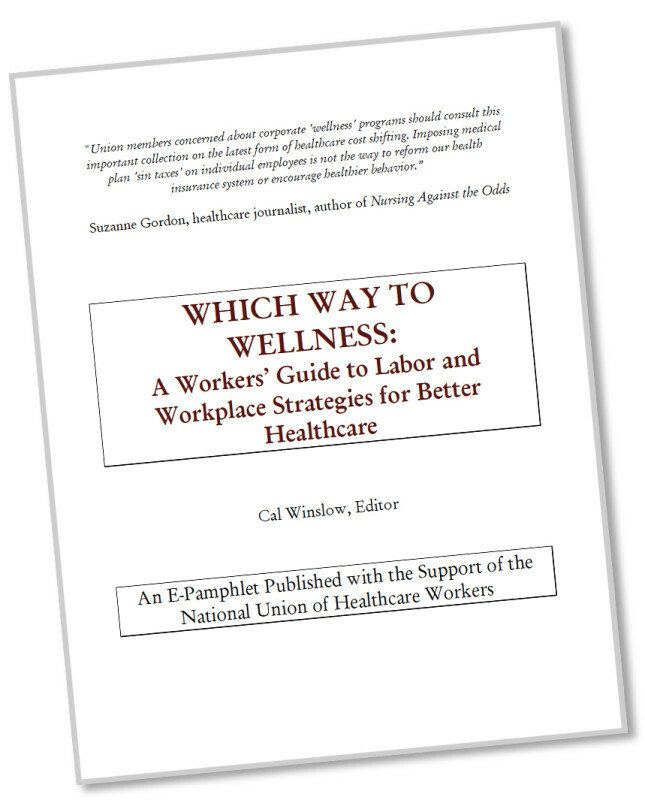 In this pamphlet, published with support from NUHW, six experts — nurses, union leaders, and health and safety professionals — discuss wellness programs and workplace strategies for better health, from the workers’ point of view. Click on the image at left to download the PDF.